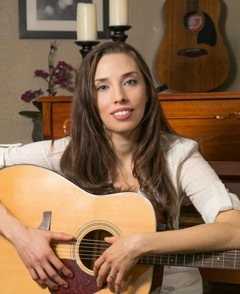 Maggie is a mezzo soprano offering voice lessons as well as piano, guitar, and ukulele to motivated students of all ages. Her focus is on providing a well-rounded education where students learn theory, sight reading, and ear training as well as participate in master classes, research, and recitals. Special needs students are welcome. Maggie also offers theory and composition lessons. Theory is helpful for the person who wants to study music in college and for the self-taught musician who can play music but not read it. Composition lessons will help the person having difficulty developing their ideas. Maggie holds a bachelor’s degree in Music Education from Millikin University where she studied voice under performer Sherezade Panthaki. Linda Jaskoviak, also known as Ms. J. to her students, holds Bachelor's and Master's degrees in music education. Many student have begun to take lessons with Ms. J over the last few years. Baritone Jeffrey Ray is an alum of Lyric Opera of Chicago’s Patrick G. and Shirley W. Ryan Opera Center. He has performed in operatic and concert halls throughout the United States and Europe. Highlights from his career have included numerous performances with Lyric Opera of Chicago and Berlin’s Deutche Oper. He has been heard frequently in the roles of Don Giovanni, Figaro in Il Barbiere di Seviglia, Sharpless in Madama Butterfly, Marcello in La Boheme, Valentin in Faust, Lescaut in Manon, and the Father in Hansel und Gretel. Jeffrey has performed Handel’s Messiah at New York’s Carnegie Hall and Avery Fischer Hall. He has sung with the Berlin Rundfunks Orchester, the Munich Bach Festival, and has been featured at the Ravinia Festival where he is also an alum of the Steans Institute. Mr. Ray has an extensive voice studio which includes teaching at The University of Chicago, North Park University, and The University of Saint Francis. His students have gone on to sing on Broadway as well as with National Touring shows. They have also sung with the Lyric Opera of Chicago Chorus, CSO, and the Grant Park Chorus., His students have been chosen as winners of the Joliet Symphony Orchestra Concerto Competition, the North Shore Opera Idol Competition, as well as the Classical Singer High School Competition. He is in constant demand as a recitalist and clinician. He has been heard Live from the Levin Studio on WFMT, and received accolades for his recital performance at Atlanta’s Spivey Hall where he will return once again to perform in 2014. Jeffrey enjoys having the opportunity to perform with Chicago area orchestras. Over the years he has been heard singing Broadway classics, Operatic hits and oratorio favorites with the Park Ridge Symphony, The University of Chicago Symphony, DuPage Symphony, DuPage Opera, Joliet Symphony and the Elgin Symphony. Mr. Ray can often be heard singing the National Anthem for our Chicago Bears, Blackhawks, Bulls, and Cubs. Jeffrey lives in Plainfield IL with his wife and three children.